Tucson has a long list of delicious restaurants but none quite like Ghini's Cafe. 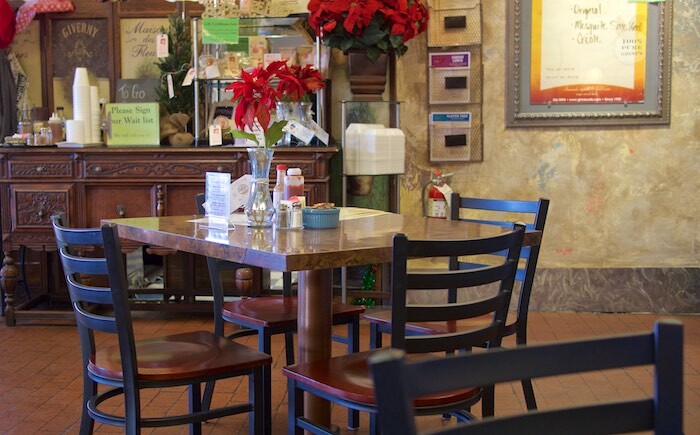 Ghini's is a small French bistro that offers breakfast, lunch and happy hour to a devoted following of customers. Ghini’s owner and Chef, Coralie, hails from Marseilles, where she developed a lifelong passion for the culinary arts. 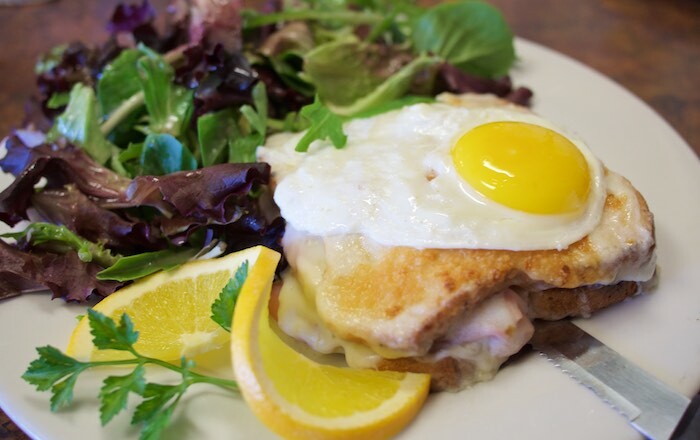 Using only the freshest ingredients Coralie creates signature dishes, like Eggs Provencal as well as the popular Croque Madame sandwich and savory omelettes. Similar to the cafes throughout Paris, Ghini's is a casual neighborhood spot that serves not only delicious food but also offers a full bar and a boutique wine list. There's even an adjacent boulangerie and patisserie where you can get fresh breads and pastries to go. I had the opportunity, during my last food adventure in Tucson, to dine at Ghini's for breakfast and it was simple, fresh and absolutely delicious. After hearing so much about the signature eggs Provencal I knew I had to try them. Locally sourced hot house tomatoes are sautéed in extra virgin olive oil with fresh garlic, and thyme, served over eggs. Definitely one of the best egg dishes I've had in quite sometime. My dining partner ordered the Croque Madame, which was thinly sliced ham, layered with béchamel, Gruyere and Parmesan cheese baked on house-made French bread. Served with a side salad this is an excellent choice for both breakfast and lunch. Although, we were stuffed, we couldn't leave there without sampling Chef Coralie's Strawberry Shortcake. Fresh strawberry coulis, two buttermilk biscuits and house-made whipped cream tasted exactly how you imagine it would. 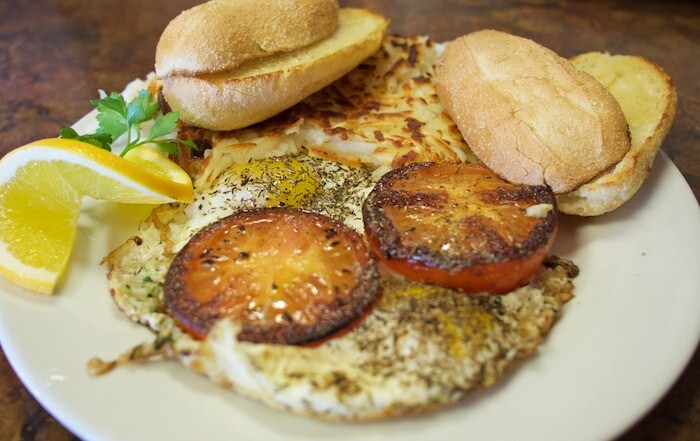 Whether your in the mood for a delicious breakfast, a quick pastry or an afternoon of lingering on the patio with a sandwich or salad Ghini's Cafe has you covered. So the next time you find yourself in Tucson may I suggest you don't leave before enjoying a meal at this quaint restaurant. Oh my gosh, strawberry shortcake is my FAVE dessert! This place looks so killer! If I ever am in that area this will definitely be on my list of places to eat! 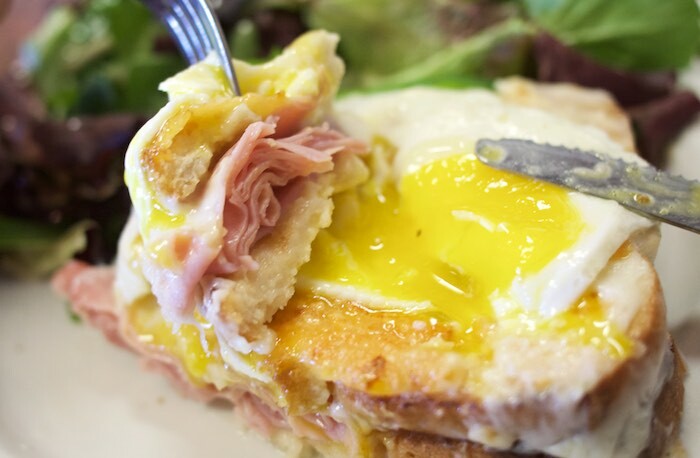 That Croque Madame looks really good! Yum! If I lived there if so go to they place! Everything looks so delicious. I love finding a good breakfast spot! This place looks so cute!! and great looking food! Where is Tuscon? The food looks amazing.. I'm so hungry now!!!! My aunt owns a home in Tucson. I'll ask her if she's ever been here. If not, I'm suggest that she visit! Yes! It is a great place not to be missed! Now that looks like the place I would go to eat if I lived there. Food looks delicious. Super cute cafe! I love eating out at little spots like that... and that egg... perfection! Croque Madam is so decadent and delicious but there is no way that I would've turned down that strawberry shortcake! All that food, especially the eggs preparation is making me super hungry. 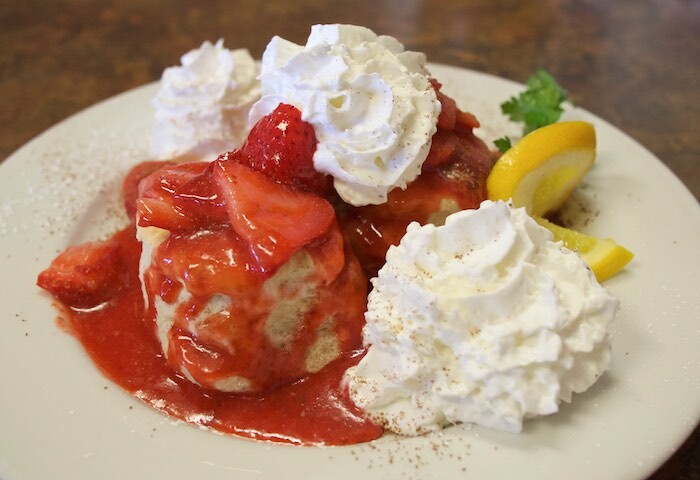 Perfect ending with a strawberry shortcake! Oh my goodness - those tomatoes, yum!